One-twelfth scale (1:12), sometimes called one inch or one inch to the foot scale is a representation of larger items where one unit of any size is equivalent to 12 inches of the same size (one inch = 12 inches (one foot). It was developed as a common way to "shrink" real objects when imperial (British) measurements using 12 sections to the inch were commonly in use. Like all scales, it is a common ratio of the measurement of one object (the first number) to the measurement of another (the second number) and indicates the relationship of smaller or larger sized objects to each other. 1:12 scale gained tremendous popularity for dollhouses when it was used to construct a special dollhouse as a gift for Queen Mary. It remains the most common scale for dollhouses and is also used for some highly detailed model cars. Although it was developed using imperial measurements, as 1:12 is a scale, it can be measured in any type of measurements, including cm or mm. The scale is a ratio used to define the relationship between the actual size of an object and its reduced or scale size. The first section of the ratio (1), the size measured on the model, is equivalent to 12 times that amount or twelve of the same measure on the original. In other words, one inch in the model represents twelve inches (one foot) in the original. or 1 cm in the model represents 12 cm in the original. The first part of the ratio, "1" refers to the number of units or measurements that are equivalent to 12 of the same units or measurements in full size. Is my dollhouse or model a 1:12 scale? The easiest way to work out the scale for dollhouses or other models is to measure doors. 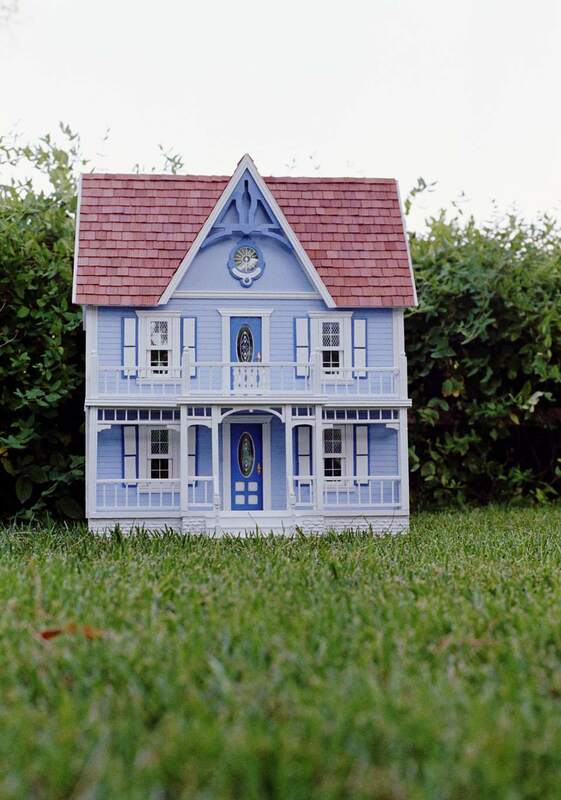 For a 1:12 scale dolls house, the 7 1/2 inch doors in scale, would compare to full-size doors which are 7 1/2 x 12 inches large - if you are reporting the dolls house size in inches the ratio is worked out in the same units) 90 inches or 90/12 = 7 1/2 feet. For a model car, check the size of the tires or the length of the car to check the ratio. 1:12 scale is popular for collectors dollhouses as it was established as the ratio for Queen Mary's Dollhouse by architect Sir Edwin Lutyens. It was a very easy scale to use when inches were commonly divided into twelfths on most rulers as the ratio is ideal for imperial measurements where one inch relates to twelve inches, which is equivalent to one foot. For this reason, the scale is often called a one-inch scale, where one inch is equivalent to one foot of real measure. With modern imperial (British) rulers being divided into 1/16ths instead of 12ths it is not quite as convenient to use, although rulers in 12ths are still available. It is not as useful a scale if you are working in metric measurements, as the ratios are not as easy to switch mentally. In metric, 1:12 scale uses one centimeter of the model as the equivalent to twelve centimeters of the original, but as 12 centimeters doesn't translate easily to any common segment of metric measure, the scale is slightly more difficult to mentally compute. One-twelfth scale, 1:12 is common for dollhouses, larger scale diecast models of cars and some steam trains, Radio controlled cars, and some 'heroic' action figure toys, where the figures are set to a height of six inches. Printable sheets of scale figures, including some in 1:12 scale are useful as a reference check for scales. There is also a ruler marked in 12ths on a dividing page for a six ring organizer for miniature collectors. Can you tell when a model horse in a realistic setting looks correct?